Pro Tools 9, General Sequencer from Avid in the Pro Tools series. theaudioandvideoguy's review"you have to have this"
Avid Pro Tools 9 is a top quality software to get your complete songs recorded mixed and mastered right at your finger tips. I have been in about 10 different studio’s within an hour radius of here and every single one of them at the time was using Pro Tools 9 by avid. They where actually the ones who inspired me to purchase it so I could be very fluid with it so when I came in to record I would have to waste time trying to figure out how to get the sound that I want. I purchased this from Avid’s website a couple years ago and got the box version just incase, I always like having a hard copy of something around. You could also get the downloaded version which I think was a little cheaper since they didn’t have to ship you the cd and manuals. You can still get the manual online if you get the downloaded version. Or you can get the manual if something happends and you lose yours from your hard copy version. I ran Avid Pro Tools 9 at home on my mac and I must say it worked perfectly. I am not to sure how it would have worked on my old mac. But I purchased a new mac about 6 months before I purchased Pro Tools 9. So basically it was like a brand new set up to me and I had a lot too learn. I have used several versions of pro tools m-powered so I kind of already had the feel of how pro tools worked. Avid Pro Tools 9 will give you every thing you need and I mean every single thing you need to do your complete song and master it. If you have a good ear and understand how to mix and master you an do it all your seft right at home. All you need is a decent set of monitors to reference on and you can do it all your self. There is no need to go to the big studio’s anymore to record and get a good master because with this program you can do it at home. Its not cheap to purchase though, it will require a good investment on your part. But its well worth it. 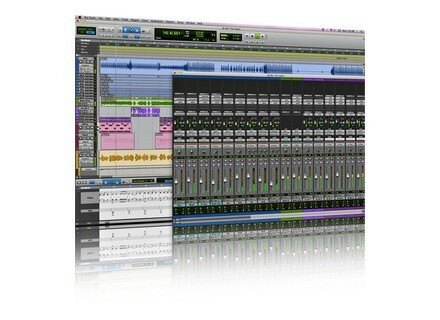 Avid's Pro Tools 9 is the latest version of the industry standard music production software. It's got some game changing features in it when compared to older versions of the software, including the ability to run it with third party audio interfaces and as a standalone piece of software without any interface at all. You do need to have the serial number and information from your audio interface to run it however, so it's not like you can have no interface at all. I recently 'cross-graded' my version of Pro Tools LE 8 to Pro Tools 9, which is now no longer considered an 'LE' product. You can download it straight from Avid's site or get a boxed version. You'll need an iLok to run it with as well. In general I didn't have too much trouble getting the software up and running, but did also have to upgrade my operating system to 10.6, as it won't run with earlier versions in theory. The interface of Pro Tools 9 is pretty similar to Pro Tools 8, so there isn't as much of an adjustment here as there was going from Pro Tools 7 to 8. A manual might be a good idea, especially if you're new to Pro Tools altogether. 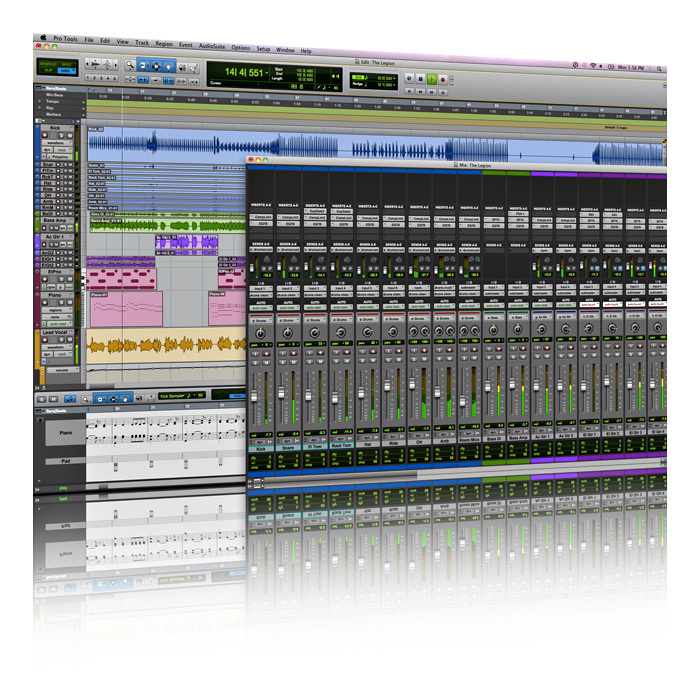 Avid Pro Tools 9 offers up a slew of great features that make the upgrade well worth it. It's more expensive if you aren't upgrading from LE or M-Powered, but for those who are upgrading, or cross-grading, it's definitely worth. Beyond being able to run Pro Tools on your lap top, you get double the amount of voices (now up to 96), double the amount of audio tracks you can record at once, as well as more instrument, MIDI, bus, and aux tracks. Pro Tools 9 also features automatic delay compensation (previously only available in Pro Tools HD), multitrack beat detective, core audio support, mp3 export, and easier file conversions between DAW's. Most of these options you either had to pay extra for in the past, or were only available in HD systems. As you can see, Pro Tools 9 is a big change for them, undoubtedly made in light of all the new illegal cracks out there. 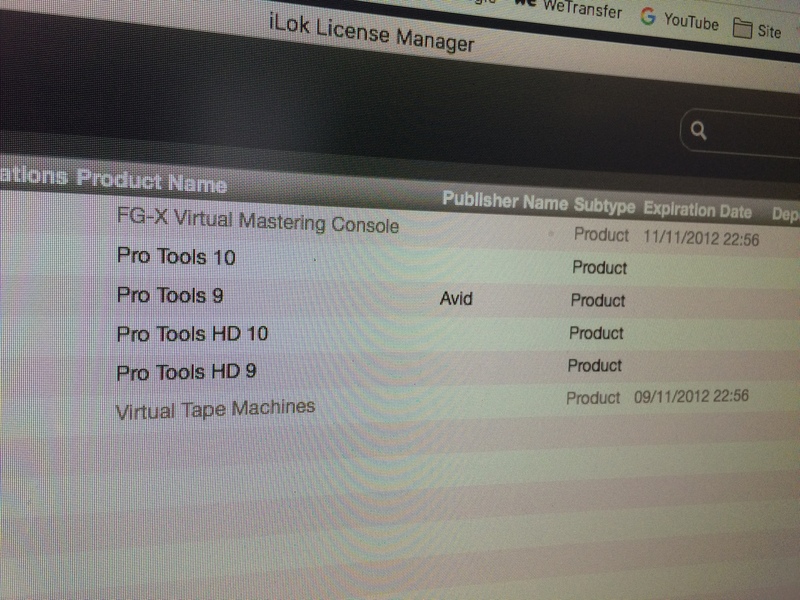 Every Pro Tools LE user needs to consider making the switch to Pro Tools 9! roubignolle's review (This content has been automatically translated from French)" True to himself!" Upgrade from a PT MPowered 8.0.3 without any problems. MacBook Pro 13 '2009 (core2duo at 2.53 GHz. Works without any problem with the internal sound card, my MAUDIO Fast Track Ultra or a Presonus Firestudio. I love the new design since the 8. Version 9 does this in itself is not much, but what a joy to finally have the CDA and the OMF! And most of PT to open without having to connect a sound card! Although it has long been that it should be like that, it is still good! It remains my favorite sequencer, I can not really get used to Logic and Nuendo even less. Reaper sounds good, but I do not like the interface, Presonus Studio One to air a lot, but I think I'll stay on PT: It is really nice for the sound to the image (I 'm no music). Yes, I do it again this election! uttrillo's review (This content has been automatically translated from French)" ProTools LE"
Installation is no problem as pro tools 8. 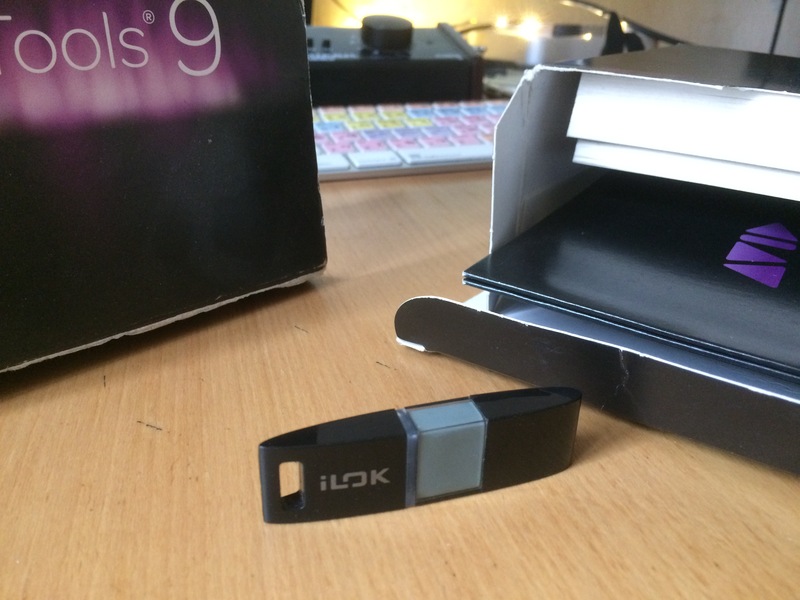 The big Hic just the iLok is not supplied with the pack crossgrade. WRONG!! So rather tell it € 300 for the pack crossgrade. If we know ProTools HD then it's the same with texting restrictions for the coup. Not need the manual so I can not answer. The software has closed itself once but since I never had any problems. How long the 'do you use? I was on ProTools Eleven 8 with the front rack. No problems either but I could not use my sound card Focusrite. THE -: no iLok with the package! Not terrible because it is expensive € 300 for options that already exist among competitors is that there's an iLok to use it. But hey, I'm on Pro Tools for quite some time and with version 9, it fills all my expectations and so far, stability and ease of jobs are waiting for you. And as I often work with ProTools HD, I can bring my sessions at home and continue to work. Comments about the review: Let There Be Light!